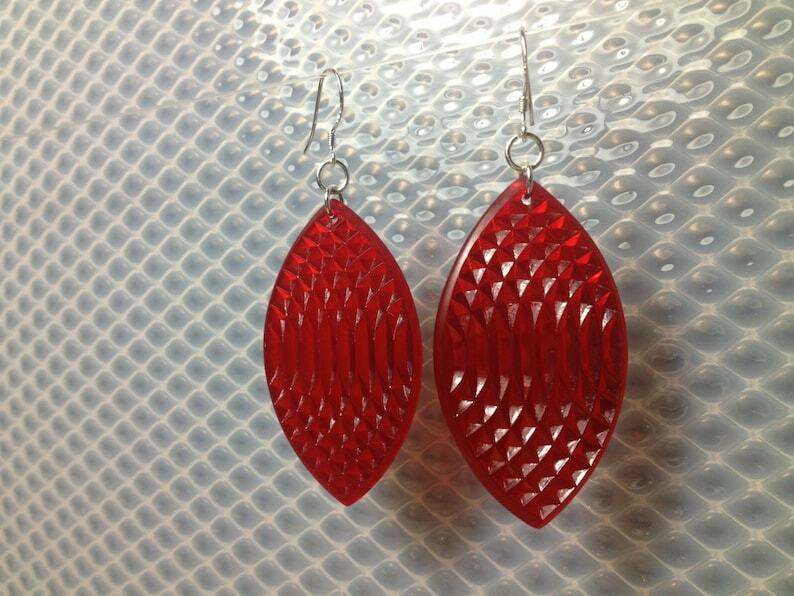 Textured Clear Red oval earrings. Sterling ear wires. Disc measures approx. 1" across and 2" long.